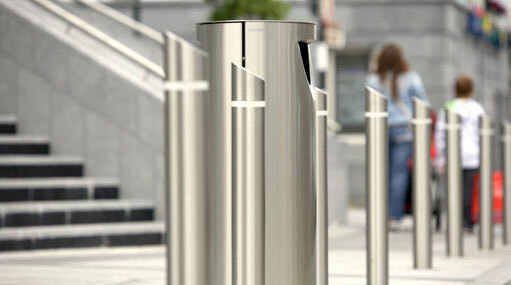 Leading the way in street furniture design and innovation, Sreevatsa manufactures a comprehensive range of contemporary products including Traffic police kiosks, Bus –Q-Shelters, litter bins, , benches, seats, tree planters and grilles, bollards, ashtrays, picnic sets, cycle stands and shelters. Stainless Steel is low maintenance, strong and durable. With its contemporary look it is easy to see why this material is finding its way into many building schemes as well as revitalising existing developments and town scapes.